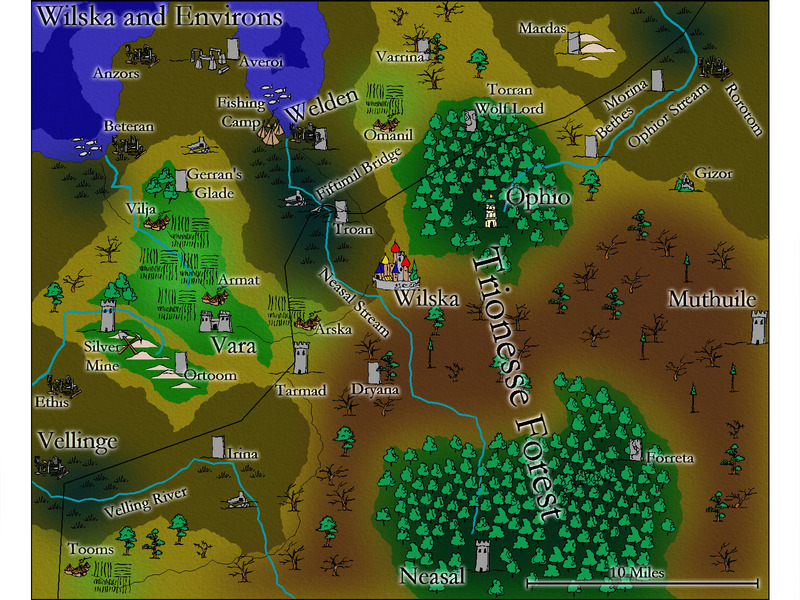 Vara is the fortress and holdings of the Golden Sword Adventuring Company. It lies in the north-central portion of the Trionesse region near Wilska and Ophio, not far from the sea. Vara includes all the lands above the blight-line around Vara, the hills to the south containing the Ortoom and the silver mines, the tidal lands towards Beteran, and most of the blighted lands around Vara except for Tarmad & Arska east of Vara.